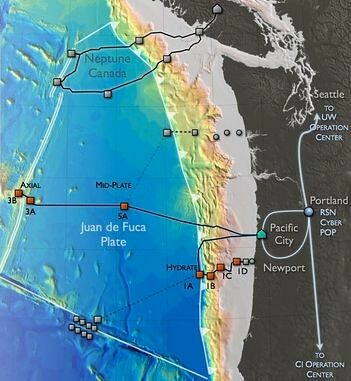 The next 9.0 Cascadia Subduction Zone Earthquake could happen anytime. We are now 315 years into a 200-500 year cycle. The Portland Bureau of Emergency Management, Neighorhood Emergency Teams, Multnomah County Emergency Management, Clark County Regional Emergency Services Agency and Cascade Regional Earthquake Workgroup, among others, are preparing for the inevitable. Oregon Field Guide’s “Unprepared” special reviewed the possible impact on Oregon. An Oregon Earthquake scenario in the New Yorker dramatized the threat. Shaking from a magnitude 9.0 Cascadia Subduction Zone Earthquake will damage infrastructure, especially older unreinforced masonry buildings, while the resulting tsunami, arriving perhaps 15 minutes later, will be a serious threat on the coast, but is not expected to be a threat to life or property past Longview. Some 30,000 Oregonians live in the coastal tsunami inundation zone of a M9.0 earthquake. After the initial ground shaking, survivors may only have tens of minutes before the first wave makes landfall. Assuming the 30,000 residents are present at the time of the initial earthquake and begin evacuating the tsunami zone at a slowwalk, as many as 6,000 residents may be unable reach higher ground before the first wave hits. However, Hayden Island residents are likely to experience severe liquefaction, moorage instabilities, and high currents which can damage ships and piers within harbors, according to Oregon Geology. Here’s what Oregon boat owners need to know and Jantzen Beach Moorage EMERGENCY PROCEDURES (pdf). Is Your Home Ready for an Earthquake? Find out. The mission of the Oregon Seismic Safety Policy Advisory Commission is to reduce exposure to earthquake hazards in Oregon. 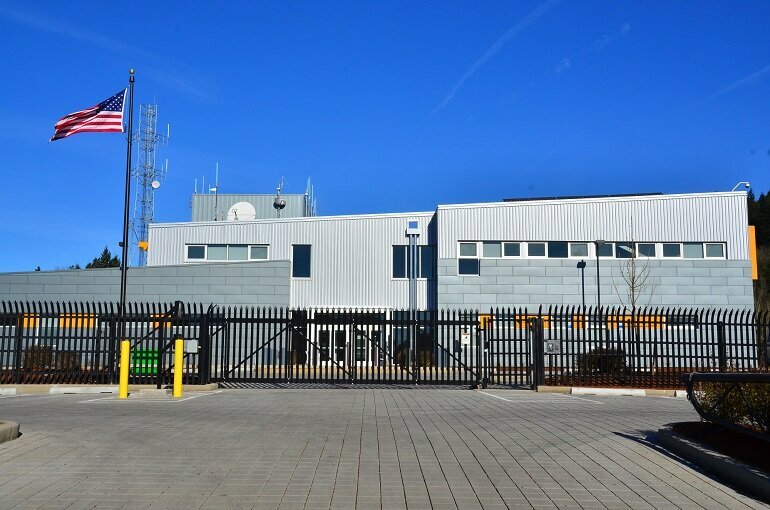 Portland’s Emergency Coordination Center, the central hub for emergency management, abuts the city’s 911 center on SE 99th and Powell, adjacent to Ed Benedict Park. Hayden Island is built on dredged mud and sand from the Columbia River. It will likely be subject to severe liquefaction. Nearly all the 500 mobile homes on the island are not attached to their foundations, so many could suffer major damage if they slip off their foundations during the 3-5 minutes of shaking. In 2009, ODOT released the Seismic Vulnerability of Oregon State Highway Bridges. The study, using an earthquake scenario of M 7.0 in the Portland metro area, estimated there would be five complete collapses, 48 structures with extensive damage and 41 structures with moderate damage. A study assessing the vulnerability of the I-5 Columbia River Bridge recommended a seismic retrofit. A BPA study indicated the big 250KV power lines crossing West Hayden Island is one of their concerns due to liquefaction. BPA’s Ross Complex, just north of Vancouver, will have their hands full managing 12,000 miles of high voltage lines and hundreds of substations. Oregon’s Critical Energy Infrastructure Hub, near the St. John’s Bridge, may be profoundly affected by a large quake. It could make oil, natural gas and other fuels critically short for months. The NW industrial area is likely to suffer from it’s poor foundation, pipes bringing fuel in and out may likely be damaged and collapsed sections of the Astoria bridge could block tankers from bringing fuel in. Restoration of overhead telecommunication wires is secondary to the restoration of overhead power lines. In major events, landline and wireless telecommunications can be quickly overwhelmed by demand, even if they are 100-percent operational. Electrical power is needed to run the equipment while fuel is needed for emergency generators and to supply the vehicles used for emergency response and repair work. The Water and Wastewater Task Group reviewed vulnerabilities of the pipelines, treatment plants, and pump stations. A backbone water system would be capable of supplying key community needs, including fire suppression, health and emergency response, and community drinking water distribution points. But damage to the larger (non-backbone) system will take time to restore after a Cascadia earthquake and tsunami. Portland Fire & Rescue provides emergency response through 30 fire stations throughout Portland. Station 17 on Hayden Island is located at 848 N TOMAHAWK ISLAND DR. (503) 823-3700. Apparatus includes Engine 17, Rescue Boat 17, and Fire Boat 17. Hayden Island’s on-duty personnel include one company officer, one Harbor pilot, one engineer, and one firefighter paramedic. Local firefighters will likely be overwhelmed and away responding to the worst incidents. Each station has a red Pelican case with ham and BEECN radios to contact Portland’s Emergency Command Center, which is co-located at the 911 center in SE Portland. The ham radios at firestation are intended to communicate situation reports and other official communications when regular channels are down. Each firestation has a ham radio and a large antenna that communicates many miles. The ham radio is available for firestation personnel as well as for NET volunteers who are licensed amateur radio operators. Alternatively, walkie-talkies can be purchased at Walmart, Costco and Target for $20-$40 each. You don’t need a license to use FRS/GMRS walkie-talkies. Both kinds of radios may be available at staging areas around the city. A BEECN (Basic Earthquake Emergency Communication Node) is the place to go in Portland after a big earthquake to ask for emergency assistance if phone service is down, or to report severe damage or injury. On Hayden Island, the Basic Earthquake Emergency Communication Node (BEECN) would likely be located on the Sleep Country parking lot, on the west side of the Jantzen Beach shopping center. BEECNs are located under a clearly marked red and white tent. The BEECN Map shows that the Hayden Island’s BEECN site at Sleep Country is at 1840 N Hayden Island Drive (N-7), while the Bridgeton BEECN assembles at the Columbia Site Field, 716 NE Marine Drive (NE-10), and Kenton assembles at Arbor Lodge Park, N Dekum Street and N Greeley Avenue (N-8). There are 48 locations throughout Portland. BEECNs are primarily intended for communication purposes. They are places for the public to go after a major earthquake to call for help. Visit publicalerts.org/earthquake for more information about the program. A NET staging area, by contrast, is intended as a rally point for NET members to gather after an earthquake (or other disaster) before going out into the community to provide assistance. In some cases the BEECN site and NET staging area for a neighborhood are co-located. Each neighborhood has its own NET Operations & Communications Plan that describes what to do and how it will be done. Here’s a map of currently active Neighborhood Emergency Teams. NET volunteers (Facebook and NET Operations Guide), are your neighbors who have been trained by Portland Emergency Management to help their neighbors. Hayden Island should have an emergency team activated by the end of 2015. Oregon Geohazards include Subduction Zone earthquakes, 100-year flooding; landslide; active faults; earthquake soft soil; and more. Timeframes for restoration range from months to years. It may be three years or more for parts of the coast. The State of Oregon Emergency Management Office (Facebook and Twitter) is responsible for coordinating and facilitating emergency planning, preparedness, response and recovery activities with the state and local emergency services agencies. OEM is divided into three sections: Technology and Response, Mitigation and Recovery, and Plans and Training. FEMA offers Earthquake training and their Emergency Management Institute offers self-paced courses for emergency management personnel and the general public. The Emergency Alert System (EAS) is a national warning system put into place in 1997 to enable the President to speak to the United States within 10 minutes and for local emergencies. 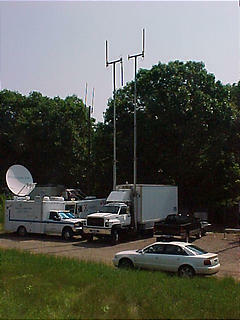 EAS messages are transmitted via AM, FM, broadcast TV, cable television and Land Mobile Radio Service, as well as VHF, UHF, and FiOS. The Commercial Mobile Alert System, for smartphones, targets specific geographic areas through cell towers. Three types of messages will be sent to mobile phones: imminent threats, presidential messages, and Amber Alerts. Most alerts will be issued by the National Weather Service. You can’t opt-out of Presidential Alerts, but you can decline receiving Imminent threats or AMBER alerts. Under device instructions, select Email & messaging > Messaging settings. Oregon State Police also have a Flash Alert Twitter feed. Most of the dams along the Columbia River are operated and maintained by The U.S. Army Corps of Engineers. The Bonneville Power Administration, which provides about 35% of the electricity used in the region, buys electricity wholesale from the dams and distributes it to utility companies in eight western states. Oddly, studies on the effect of a subduction earthquake on Columbia River dams (and downriver communities) is hard to find. Near Bonneville Dam, about 45 miles upstream, the Bonneville Landslide slid from Table Mountain into the river. The lake behind the temporary dam submerged trees for 35 miles along the river and created the Bridge of the Gods land bridge. From analyzing the radiocarbon dates, “my feeling is that the landslide likely happened between 1550 and 1750,” said Patrick T. Pringle, a geologist with the Washington Department of Natural Resources who has been conducting a study with a landslide expert with the U.S. Geological Survey. That puts it around the last subduction zone quake in January, 1700. So, there’s that. Don’t expect to be calling in hyperspectal scans of industrial spills along the Willamette or Columbia Rivers to the National Guard. A $1,000 Consumer DJI drone would likely produce more actionable intelligence. Faster. Cheaper. Better. There are many Open Source Resources for Disaster & Emergency Management. The White House Innovation for Disaster Response, launched in the wake of Hurricane Sandy, encourages technology that can empower survivors, first responders, and governments. Portland tech leaders include HumaniNet, N-TEN, NetSquared.org and Public Lab, which uses inexpensive DIY techniques for environmental and social benefit. Free and open source management platforms include Ushahidi which uses crowdsourcing and Open Street Maps to map crisis information. The OpenStreetMap community can provide support, tracing out still open roads, flooding, and earthquake damage from the latest satellite imagery. Hours old satellite imagery, available from Digital Globe, Spot, a variety of Earth-Imaging Start-ups, and drones enable Mapathon organizers and Digital Humanitarian Organzations to create maps that show near real-time status of roads and infrastructure. LearnOSM.org explains how to get started. The Sahana Software Foundation develops free and open source software for disaster response coordination. It is a web based collaboration tool that addresses the common coordination problems during a disaster from finding missing people, managing aid, managing volunteers, tracking camps, the government, NGOs and the victims. The American Red Cross provides different disaster preparedness apps in English and Spanish. Earthquake by American Red Cross lets you receive alerts and notifications when an earthquake occurs, prepare, and find help and let others know you are safe. QuakeFeed is the #1 Earthquake App for the iPad and iPhone. The FEMA mobile app for phones and tablets contains disaster safety tips, an interactive emergency kit list, meeting locations, and a map with open shelters. Google’s Person Finder can assist you in both locating loved ones and sharing news with others. Facebook’s Safety Check uses geolocation to let those close to a crisis zone check in and let their Facebook friends know that they’re safe. Airbnb, a community marketplace for housing, has a disaster response tool to easily find free housing through the Airbnb platform. ShakeMap and ShakeCast are post-earthquake information tools for rapid situational awareness. Microsoft-sponsored Humanitarian Toolbox is an open-source resource for developers with tools can be adapted, integrated and deployed to various situations. Mitre Open Source Software has many development tools. Google Docs as well as DropBox and Google Drive make sharing documents easy. Wiggio is a free web application for working in groups. Yammer Survivor Network hosts private, online community spaces to serve as connection points and support networks for survivors and responders. Skype, of course, is available for Android, Mac and IOS and Windows. StoryMaker lets you shoot, edit and publish a story right on your mobile. Create a daily news report. Store your daily reports on a hotspot (locally) or on the web (globally). Local media has laid off many journalists. You may be it. A beacon like Google’s Eddystone, is discoverable by any nearby Bluetooth Smart device. They last for years and cost about $20 a pop. They broadcast URL links to location specific information. Place local news on an SD card and create localized landing pages. Bingo. TriMet and Google have activated 87 light-rail stations. The beacon automatically connects with your Bluetooth-enabled smartphone, causing an alert with the station name to pop up on your home screen. Tap the notification and your phone will give you detailed arrival information about approaching trains. Home-based WiFi, connecting through cable modems or DSL could be out of service for days if the lines are down. That includes WiFi networks like the Ubiquiti-based WiFi network built by TenGo for the Jantzen Beach RV Park. The nice thing about Jantzen Beach is that RVers can “boondock” at the drop of a hat. Same deal with boats. The above video explains how to setup an RV hotspot and connect it to a distant Park access point for under $100. Here’s his live RV camera with current location marked on an embedded Google Map. Home Depot and Best Buy have lots of gear. Go crazy. Satellite internet, for the consumer market, like ViaSat’s Excede and HughesNet may be the best alternative when cellular, cable and phone lines are inoperable. Space-based internet service does not depend on local infrastructure. A router from the satellite terminal could link to remote WiFi access points using a wireless bridge. Two Wi-Fi devices can make a wireless bridge. The Columbia River is about 1,000 ft wide, while a wireless bridge can go 2500 ft or more. Without obstructions a link should make it cross the river. Clark County and City of Vancouver buildings are near Hayden Island and will likely be back on line first. Those buildings are line of sight from rooftops on Hayden Island. Common WiFi gear, with point-to-point antennas, can create a bridged link over a half-mile. Here’s how to set up WDS bridging using DD-WRT on Buffalo Routers and how to bridge to Ubiquiti nodes together. A captive portal, like NoCatSplash or WiFiDog redirects clients connecting to a WiFi hotspot (like PersonalTelco.net) to a specific web page. It can be enabled on WiFi hotspots that use the open source DD-WRT firmware. DD-WRT firmware runs on a large variety of consumer hotspot hardware. T-Mobile’s Wi-Fi CellSpot Routers will send voice over the Wi-Fi link. WiFi calling from T-Mobile features HD Voice and seamless handoffs between LTE and Wi-Fi. T-Mobile’s LTE hotspot, on the other hand, delivers a local LTE signal. Both require backhaul over a broadband landline. WiFi voice and data is free. It’s like Skype. But WiFi range is only about 100 feet. Cellular WiFi Hotspots that also use low-power LTE, on the other hand, are billed against your T-Mobile account, making it more expensive. But you don’t need a special WiFi phone. The advantage of using cellular-branded handsets and hotspots is that you can roam from WiFi to cellular service — seamlessly. Local hotspots/cellspots may enable voice and internet connections without needing coverage from nearby cell towers. That’s what they were designed for — coverage inside homes and buildings. They require a working broadband land-line to function with minimum internet speeds of 2Mbps downlink and 512Kbps uplink. In a pinch, a consumer satellite internet terminal might plug into a Wi-Fi CellSpot to enable 6-8 phones, tablets or laptops to operate simultaneously. In effect, Hayden Island could become one large RV park offering free WiFi at a dozen or so access points. Solar-powered neighborhood nodes might use 5GHz backhaul to a roof-mounted, satellite-fed hub. Could “free” WiFi be self-sustaining? Who knows. If a dozen advertisers paid $10-$15/month, it might generate $2-$3K/year, serve the boating and floating home communities, and offer an emergency communications back-up. Need to monitor a live camera from a mile away? Get two Ubiquiti 5GHz Nanostations ($80 each), and a Ubiquiti outdoor IP camera ($125). A Solar Powered WiFi node might require a deepcycle boat battery ($200) and a 200 watt solar panel ($300). Emergency backup is good…especially if it’s useful all the time. Cellular carriers like AT&T, Verizon, T-Mobile and Sprint can be life savers. But cellular sites may be unreliable, overloaded or without power for some time after an earthquake. Fuel for a cell site’s emergency generator may run out in 8 hours — and gas could be hard to get for months. Restoring cellular will be a priority. The island is well served by all four cell carriers. Verizon’s tower is behind the Hooters sign, AT&T towers are in back of Denny’s and on East Hayden Island, Sprint & T-Mobile towers by the boat works opposite the Expo Center and Vancouver. Cell towers on top of Vancouver buildings, often pick up Hayden Island 911 calls. As a consequence, 911 calls may be answered by Clark County Regional Emergency Services not Multnomah County 911. Calls will be relayed to the appropriate provider. Rooftop celltowers, however, don’t support large emergency generators. In a real disaster, with power out for days, cellular service may be first restored at stand-alone towers or by self-contained trucks called Cellular On Wheels (COWs). With cellular service restored, lots of useful services will follow. T-Mobile’s hotspot plans, for example, include a 14GB/mo (unlimited) data plan for $95/month. Portland Emergency Management recommends a number of Android, IOS, and Windows apps. PDX Reporter, for example, allows residents to report and request service calls to city assets and infrastructure for the City of Portland. Lots of emergency apps are available for Android and IOS. Glympse is a fast, free, and simple way to share your location in real time with the people you trust. Other apps include locate my friends and GPS phone tracker. People in your Google circles can share their location with you, so you’ll be able to see it on a map from your Android or iOS device. The function of GPS tracking devices may be largely duplicated using a variety of Android and IOS apps on a phone. A Real-Time GPS Tracker like GreenAlp maps your current location and you can embed the Google Map in a webpage. IceCondor provides all-day cell-phone location recording and sharing. And it’s free. Smart watches like the Gear S2 and LG 2nd Edition LTE have their own connectivity and don’t rely on a smartphone. Other gadgets include GoTenna which turns your iOS or Android device into an off-grid communications tool. 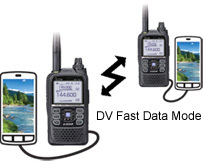 The $300/pair VHF data radio connects to tablets via Bluetooth and has a range of 2-5 miles. No radio tower or license required. Short-range Bluetooth trackers, about $25/each, can help track pets or kids. The Automatic Packet Reporting System, used by hams, can track movement. It has been integrated with the internet with many web pages for live viewing of APRS activity such as APRS.FI or FINDU.COM. If cellular is working, then lots of options are available for tracking. Social media like Facebook, Twitter, Periscope, Instagram, Reddit and others can spread information fast. It allows two-way communication so concerns can be addressed and users can add and share content. Here’s how to create a successful twitter wall using Crowdscreen. Social Media Walls display crowd-sourced tweets, Instagram photos and Facebook posts on a big screen. Participants tweet and post with the hashtag created by you. Live sources might include live cameras along the Oregon Coast and ODOT’s Statewide Cameras as well as Portland Police Incidents (Twitter feed), Portland Fire Tweets, Portland Emergency Management tweets, Oregon Emergency Management tweets and Oregon State Police Twitter feeds. Popular twitter trends in Portland and Vancouver could be scrolled by on the big screen as well as alerts from Portland General, Pacific Power, NW Natural, Tri-Met, ODOT and Portland Water Bureau. Official Twitter feeds from government agencies such as Portland Fire, Portland Police, Portland OEM, Portland Weather Alerts, Oregon OEM, OSP, Vancouver OEM, and Washington State Patrol. Unofficial Citizen generated Twitter, Facebook and Instagram streams such as #VanWa and #Pdxalerts. Live cameras and live maps along with Events, interviews and StoryMaker-produced community news. Radio Reference has live audio as well as scanner frequencies for Multnomah and Clark Counties, Portland and Vancouver radio operators as well as Portland and Vancouver repeater frequencies for scanner users and hams. Here are maps of Washington’s Coastal Repeaters, Oregon’s repeaters, and Oregon’s state-wide 700 MHz network for public service users (just to get the lay of the land). These networks will be the region’s communications backbone in a real emergency. Ham radio may be the best bet to provide communications when power, cellular phones, cable, and the internet are out. The Neighborhood Emergency Communications Training Net (NECTN) is a ham radio program that meets 8:00 PM every Sunday on the air on the 147.040 MHz repeater system of the Amateur Radio Relay Group (ARRG). Because this is a repeater, you need to set you radio to transmit with a +600 kHz offset, which is standard for this range of frequencies, and with a “PL tone” of 100.0. 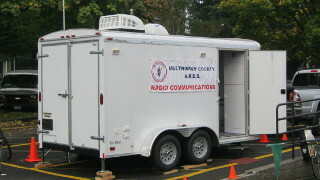 Multnomah County Amateur Radio Emergency Services (ARES) hams will recognize this as channel MC-6. The Multnomah County ARES/RACES Website has information on the Amateur Radio Emergency Service® (ARES) and RACES, the government arm of amateur emergency services. Portland Amateur Radio Club, Tualatin Valley Amateur Radio Club, Clark County Amateur Radio Club and Hoodview Amateur Radio Club (in Gresham), all have regular monthly meetings. Here are a list of Regional Frequencies. The Grand Challenges for Disaster Reduction sets forth six Grand Challenges that, when addressed, will create a more disaster-resilient Nation. The Oregon Resilience Plan concludes very large earthquakes will occur in Oregon’s future, and our state’s infrastructure will remain poorly prepared to meet the threat unless we take action now. The National Earthquake Information Center, in Golden, CO, is the central site, while the Pacific Northwest Seismic Network, Vancouver’s Cascade’s Volcano Observatory and Newport’s Pacific Marine Environmental Laboratory monitor local events. The Ocean Observatories Initiative has wired up the west coast, from California to Canada. It’s the most extensive ocean monitoring system yet devised. Sensors on the Axial Seamount on the Juan de Fuca spreading center are now live. Axial is the most active volcanic site in the North Pacific. Join the crew on the April-May 2015 Axial Seamount expendition, mapping, and sampling the new lava flows from this year’s eruption. Maybe we’ll find a few extremophiles…or patent a new bio-engineered life form. Hey, we’re in international waters here. The Wild West.